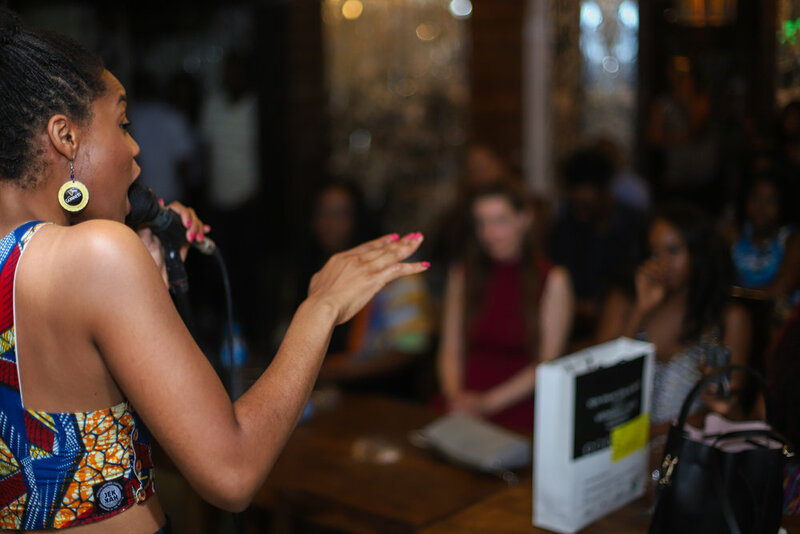 Justina Kehinde's poetry draws strongly on oral performance, and is often a direct exploration of social concerns including mental health, diasporic identity, womanhood, hybridity, political and social injustice and history. In 2012 she won the Benjamin Zephaniah Poetry prize for a poem on female genital mutilation. In 2014 she was a national finalist at the Hammer & Tongue slam poetry competition, and has also performed comedically, winning the 2015 Cambridge Anti-Slam. Her TEDx keynote 'Write your Own Story', explored Britain's unacknowledged colonial history, while her poem 'On Beauty' was recorded and published as part of the 2015 collection The Fifty Project. She has been commissioned by the Women's Equality Party, the International Justice Mission, Powerful Media ad the Icelandic Government and she's also written a few wedding and birthday poems too. She would love to write a piece for you so don't hesitate to get in touch. In 2018 Justina Kehinde wrote and directed her first original play UMUADA which headlined at the King's Head theatre following a co-written scratch which debuted at the Bunker in November 2017. Exploring mental health, migration and motherhood, it received an overwhelmingly positive response and she is currently in the process of extending it into a full length production. Between 2012-2017 she contributed to and was the deputy editor of independent women's magazine, MAGNIFY exploring the intersections of faith, feminism and fashion.